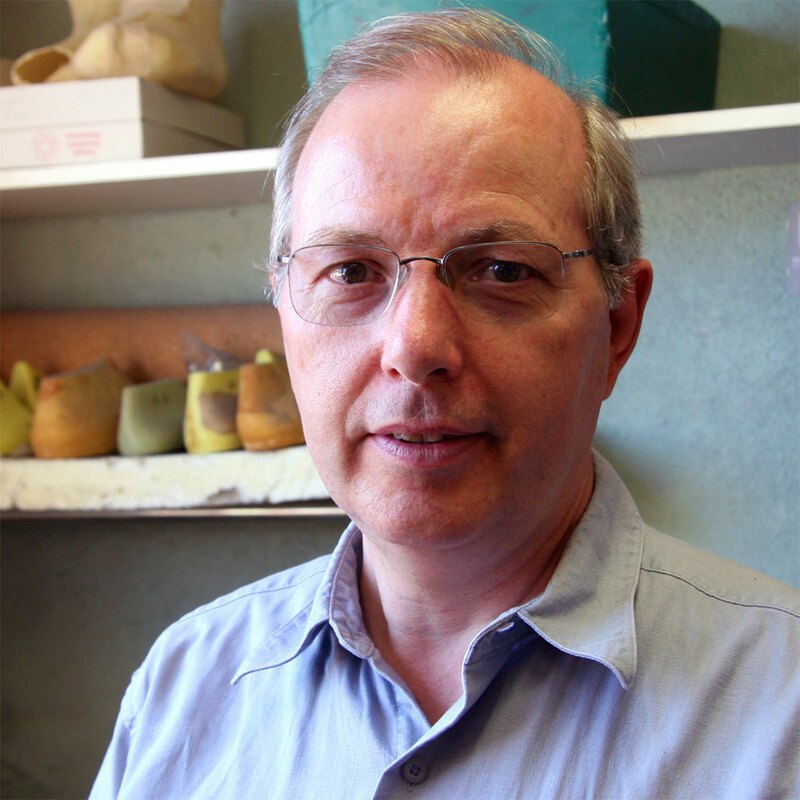 Ray Bauman fell into the art of shoemaking by accident. Born and raised in Elmira, Bauman found himself working and living in Toronto shortly after getting married. However, both he and his wife were looking for any excuse to leave the big city. His big break came in 1982 when Bauman's brother-in-law suggested he move to Elmira, ON, and give him a hand in his shoe repair shop. Bauman agreed to a minimum three-year term. That three-year commitment has turned into more than 30 years of experience under his feet, his new-found trade, which resulted in more business for Foot Foundation. When he moved to Elmira and began assisting at Foot Foundation (formerly known as Brubacher Custom Shoe) he knew very little about footwear, including what size his own shoes were. As time progressed, Bauman began to grasp some of the ins and outs of repairing shoes. Soon, he was given the task of producing custom shoes. Bauman never felt that he was fully engaged in the construction of the footwear. He was working under constant, step-by-step direction until his boss informed him that he should "figure it out." That flipped a switch for Bauman and shortly after, crafting custom footwear was something he was comfortable taking into his own hands. From then on, Bauman became better skilled at his new-found trade, which resulted in more business for Foot Foundation. Besides learning the trade of custom footwear, Bauman spent time focusing on last-making during a short visit to Belgium in June of 1998. He also spent some time in England in November of 2000, learning the computer systems that generated the shoe patterns now used to create today's custom shoes. Previously, Foot Foundation hand created and cut all patterns needed by hand without any electronic aid. 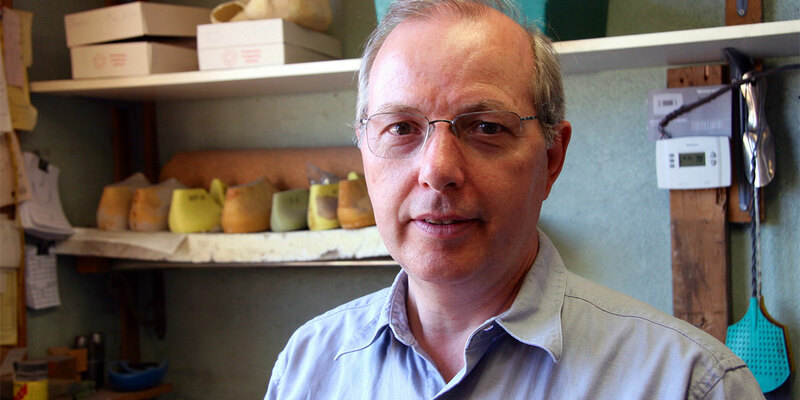 Learning a new computer system allowed Bauman to focus more efforts and resources on what was most important - crafting an excellent pair of handmade, leather shoes. Bauman became part of the Canadian Orthopaedic Footwear Association (COFA) on January 15, 1989, which had been granted federal status as a non-profit corporation in 1986. With the adjustment to its organizational status, the association also began certifying its members as Certified Orthopaedic Footwear Specialists (COFS). The Pedorthic Association of Canada (PAC) approached COFA in 1990 about forming a united Canadian association. When the amalgamation was finalized in 1991, the association became known simply under the name of The Pedorthic Association of Canada (PAC). Today, those with COFS certification are qualified to offer detailed assessments of a client's condition as well as assist in alleviating pain, abnormalities, and debilitating conditions pertaining to the lower limbs and/or feet. Bauman became owner and operator of Foot Foundation on April 1, 2013. Today, he continues to maintain his role in the business and is still responsible for all of the lower limb assessments. As a Certified Orthopedic Footwear Specialist (COFS), Bauman will give a full assessment of your feet in order to determine how to best assist you. An initial gait test will be completed to assess your walking pattern. From there, Bauman will test the mobility of your feet and ankles while you are seated. A series of pertinent questions will be addressed including, work environment and severity of pain experienced on a daily basis. The assessment will determine whether orthotics or orthopedic footwear are necessary. Should orthopedic footwear be required, the knowledgeable staff at Foot Foundation will be happy to assist you in finding the right footwear for your foundation.